GREENLAND — Braden Rose of Harvey picked up a victory and a runner-up finish in children’s division racing held at the MASTERS — Mid America Snow and Expert Terrain Racers — Terra-X snowmobile racing held at Adventure Mountain in Ontonagon County on Saturday. Rose earned both his high finishes in the 120 divisions sponsored by Merritt’s Travel Center on the former ski hill. 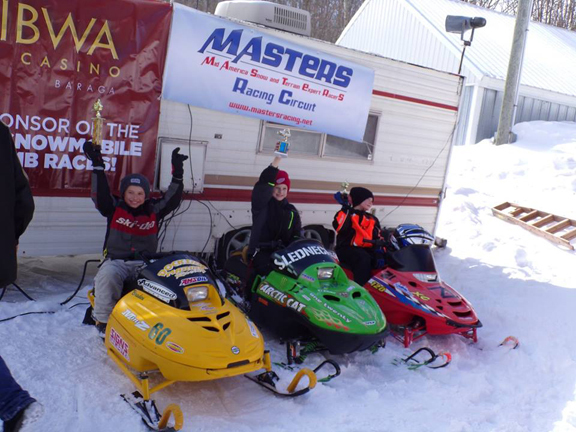 He won the 120 Stock class on his Ski-Doo and was second in the 120 Modified class on a Polaris. He had to survive qualifying time trials, where the top three racers among the six competitors in each division advanced to the finals, which included Rose’s sister Ryland Rose. In the 120 Stock, the first racer knocked out missed the finals by just one-hundredth of a second. Race officials reported that in the 120 Stock final, Klayton Kin of Ontonagon led throughout until the final turn, when Rose got by him for the victory. Nolan Bogetto of Bessemer took the 120 Modified class after qualifying in 1 minute, 1 second, just 15 seconds slower than the fastest adult in the Trail Stock 600 class, Jordan Wolfe of Montreal, Wisconsin. Wolfe and Wyatt McIntyre of Greenland were double winners Saturday, with Wolfe also taking the Pro Open Stock division and McIntyre victorious in the Trail Stock 850 and Trail Modified 600 classes. Roger Strack of Trimountain, who will represent MASTERS and the Midwest at this week’s 43rd annual World Championship Snowmobile Hill Climb at Jackson Hole, Wyoming, won the Trail Modified 850 class. Other winners included Travis Kaurala of Nisula in the Top Gun division and Kaeden Kaurala of Nisula in the Junior division. 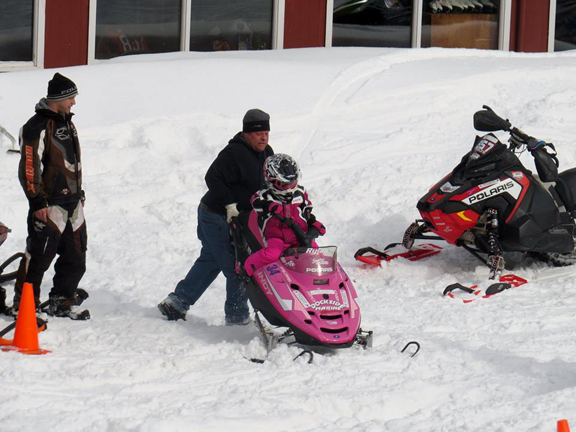 The MASTERS’ Ojibwa Casino Snowmobile Race Series concludes with another Terra-X race at Mont du Lac in Superior, Wisconsin, on April 6.